There was an incredible story making its rounds on the web awhile back about a Dr. Berrenda Fox, a holistic practitioner from Avalon Wellness Centre, Mt. Shasta, Calif., who claimed humans are going through DNA and cellular changes and are becoming a new life form. Fox, who said she was working with Fox Television Network in the development of programming explaining an understanding of "extraterrestrials and their role in what is happening with mankind," claimed she had documented evidence that many children and some adults were mutating into something else. She says nobody knows what we are turning into, however. Instead of the double helix of DNA, Fox said geneticists are discovering that a third helix and sometimes more are starting to grow as the mutation process occurs. She says the process may have been going on for the past 20 years. "The changes are not known publicly because the scientific community feels it would frighten the population," Fox said. "However, people are changing at the cellular level. I am working with three children right now who have three DNA helixes .. . We know it is a positive mutation even though physically, mentally and emotionally it can be misunderstood and frightening." Those who read our story on the Indigo, or Star Children, might think the Fox story helps explain the phenomenon occurring there. However, there has been heavy counter media attention since the Fox story first broke, disclaiming her and her findings. Indeed, our own web search failed to find any reference to an Avalon Wellness Center in Mr. Shasta, California. Other sources, however, still are putting stock in the Fox report because it supports the Indigo Children story. One of these was Dr. P.M.H Atwater who tracked Fox after all of the brew-ha-ha regarding her story. Atwater said Fox was forced to close her clinic “after a harrowing battle with the American Medical Association” and that she was never arrested or charged with anything. Strangely, the information revealed by the Fox story and several other articles about the Indigo Children, correspond with some unexpected data we received during a communication with The Abba Father. We were told that children were being born with 12 DNA strands, not just the double helix, and that this change has been going on for several generations. Thus the purification of the human race is occurring slowly and steadily, and the only proof of it can be found in the minds of our children and by studying the complexities of human DNA. It strikes us that if the Fox revelation caused such a stir in the ever pompous American Medical Association that her name was blacklisted and her story aggressively attacked, she may have been onto something important. Indeed, if the doctors lined up behind Fox and admitted that the human DNA is going through profound changes and rapid evolution, the impact of such a story on world political, social and religious systems would be impossible to imagine. Fox also said: "Some adults that I have tested actually do have another DNA helix forming. These people are going through a lot of major shifts in their consciousness and physical bodies, because it is all one. In my opinion, the Earth and everyone here is raising its vibration. Many of the children born recently have bodies that are magnetically lighter. Those of us that are older and choose to change have to go through many physical changes." Again, this has been the message of The Abba Father. 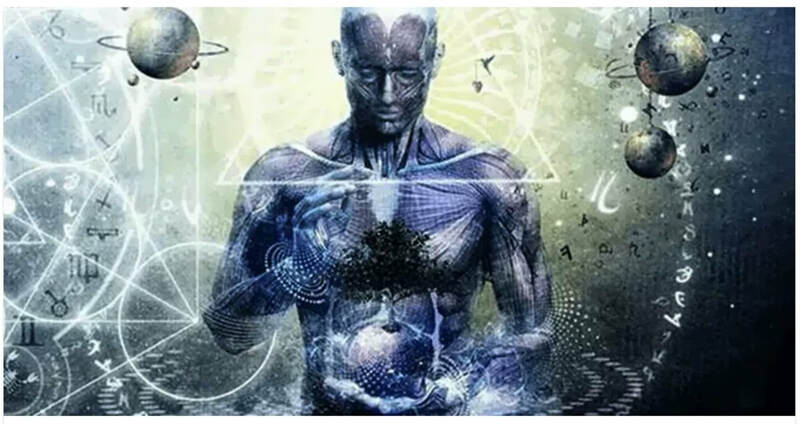 We are going through a change in frequency and we are sparking the cells within our bodies to light up so that we will be physically and mentally prepared for a looming change that is about to occur on Planet Earth. Fox said adults going through the change actually display symptoms of extreme illness, tiredness and aches and pains associated with aging. Fox also believes certain viruses, like Epstein Barr and Herpes No. 6, that change cellular structure, assist in the human mutation. "Even though they may feel really sick, tired or hopeless at times, it is a gift," she said. "Most people who go through this process and come out the other side have a new profession, a new way of thinking, or at least a starting of a new way of life. They are being given a chance to change their DNA structure and their body into a lighter, healthier body that can see them into the next generation." We have been aware of the Indigo Children for some time. After writing about this phenomenon, we received many letters from young men and women who say they, indeed, possess special gifts and talents that seem to be misunderstood by their elders. The name "indigo" is derived from the unusual color of the aura emitted by these people. The indigo children are not all children now. Many have grown to be young and even middle-aged adults. They seem to have started appearing as early as 40 years ago. While the youth are tapping into a need for change, few adults older than 40 are finding a release from the enslaving religious and social systems that have snared the human race for thousands of years. Thus the older people who refuse to raise their frequency to meet the demands of the new order may be cast aside. The frequency change is necessary before the human can be participants in the new spiritual movement that will eventually sweep the planet. The Abba Father says no one will be excluded, however. The door is open to all, but to get there, every one must “do the work.” That means accepting a new spiritual path and getting ourselves prepared. Dr. Fox is correct when she notes that "the old system has to crumble away." She warns it is not going to leave without a fight "so you have all the wars." In the meantime she says the old "medical type of healing is not working; the government is not working, a lot of the old paradigms can no longer exist, yet are fighting to be maintained." Fox believes this is an exciting but confusing time in which to live. Her advice to those who wish to reach out for the new world: "go (with)in and listen to that quiet voice."